The Academy has an excellent library containing text books and commentaries on various subjects of law as well as encyclopedias, up to date copies of law reports viz. PLD, SCMR, P.Cr.L.J. AIR, All England Law Reports, Corpus Juris Secundum, Halsbury’s Laws of England, Reported Judgments of the Supreme Court of U.S.A. 72 volumes of Words and Phrases and also up to date editions of law digests, etc. Beside the above law journals the Library also subscribe the News week, Reader Digest and Fiqh-e- Islami magazine. The library is being improved day by day and new books and journals are added regularly. The Library is equipped with four computers with internet facilities. We are using Dewey Decimal Classification Scheme of library organization with the assistance of a qualified librarian. Now the library is automated and it can easily access and retrieved the required books by using online catalog. 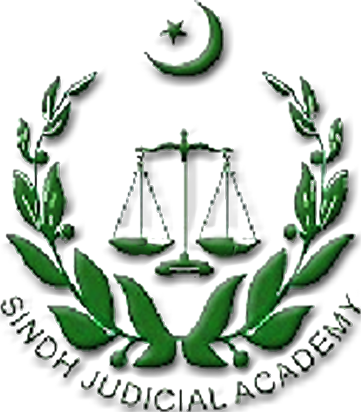 The Library has also the subscription of Pakistan Law site to facilitate the Library users. In future, we are planning to make our library accessible on line. At present 7746 books are available in the library. During the training of judges the Library opens 8 am to 8 pm daily. 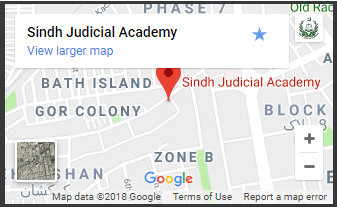 Following is the year wise status of books added (Purchased and Donated) to the Sindh Judicial Academy Library from 29-10-2002 to 30-04-2016: Read More…..